Top 8 Tech Trends & What To Expect At CES 2016? Well, Welcome to 2016. Most of us might be busy celebrating & partying with our friends & families on the first day itself, partly is the reason why I decided to blog about this a li'l later. You guessed it, I don't want to miss my potential readers right? Haha. So now if we look back at 2015, it was a year that eventually explored a whole new category called 'Wearable Tech' apart from the other innovations rolling in every now and then. Everything from mobile platforms, living rooms to Cars have received some major "Tech" upgrades. The things that really took my attention last year include Virtual Reality, Augmented Reality, Drones, hoverboards, 4k, 8k, 2k smartphone display's & Tesla motors(Most favourite & the freaky part). We're now countlessly & pointlessly connected 24*7 on our smartphones. While the world has really moved completely towards mobile first, cloud first approach. Every year we witness new stuff unveiled at the holy grail of tech industry "CES", one stop destination for any geek present on this planet, hands down. So here are some highlights that were showcased in 2015(in-depth), Before we get on the next chapter of CES 2016. Oculus is a company that really has pushed boundaries in this space, if you're counting who was up first. 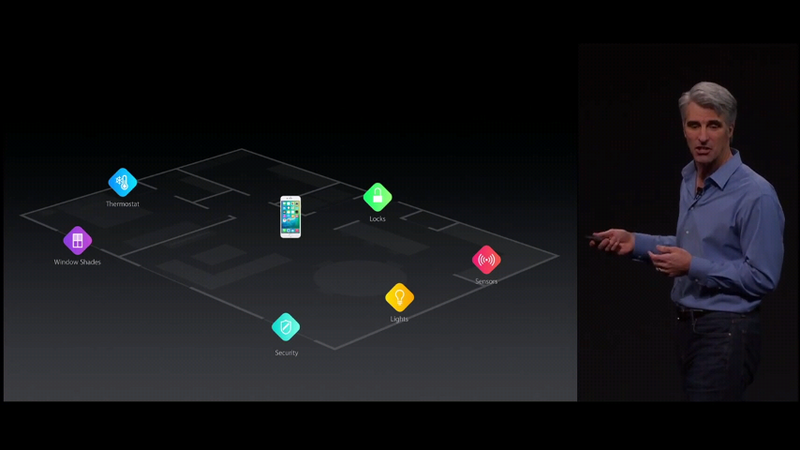 Oculus Rift can also be called the first generation iPhone in virtual reality industry. Consider you're listening to music on your headphones, during this you can't hear the surroundings right? Similarly when you put the VR headset on your face, you're sent into a Virtual/Computer generated world, where you cannot see the real world and are trapped inside virtual world. So in this case, your Real world vision is replaced with Computer generated vision. Think about that! So as the concept of Virtual reality caught eyes of the many big boys in tech industry, Soon Virtual Reality was considered as an interesting subject. Then Samsung joined the league with their Samsung Gear VR headset bringing some enhancements on the way working with Oculus Team, following the way was hTC Vive which got many applauds from the tech community, because of the controllers introduced with their headset to interact with the virtual world. Then Google jumped in creating a affordable version of the headset introducing Google Cardboard, this product wasn't capable of providing an entire immersive experience to the viewers. 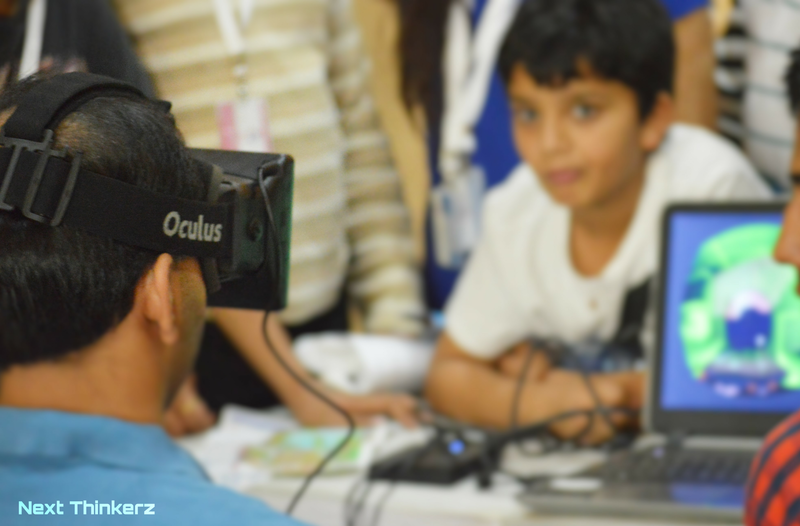 As a result of which it can be considered as a VR headset for Starters, which it was essentially meant to be. Google even updated their 1st Gen Cardboard during Google IO. Then Oneplus joined on-board introducing Oneplus Cardboard. Eventually sort of throttling the VR headset market, as they conducted the Oneplus 2 launch event through that. So back in 2015 it really seemed that companies were striving really hard to scatter VR content throughout. Then Nokia made a sizzling come-back with a very cool product named 'Nokia Ozo'. This wasn't a VR headset, it was a VR filming Camera. 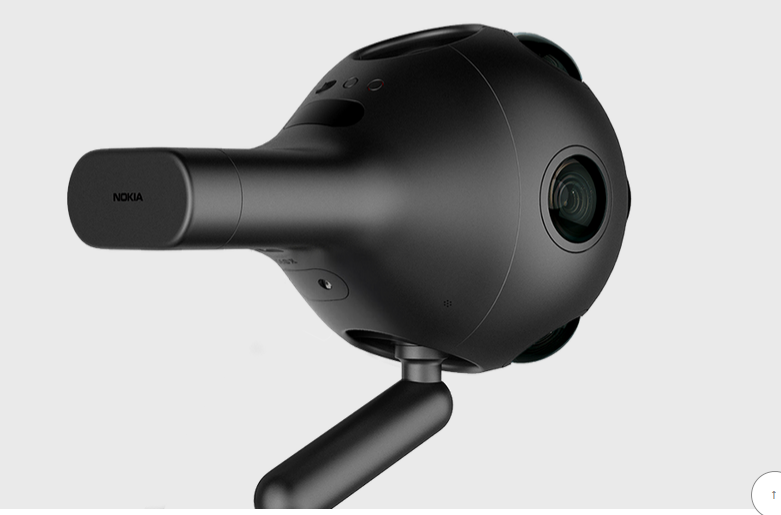 Perfect stuff needed for VR manufacturers to excel in this emerging market, but the alienistic look of Nokia OZO had an exorbitant price tag. Filmmakers can easily buy that, but for an ordinary person it's hard to buy a $60,000 camera. Similarly Google showed what they've created to thrive in this VR space at Google IO with their Project Jump. Google even snapped YouTube 360 section on YouTube just to fill the less content gap, whereas few Android apps are slowly filling up the gap on play store. Recently even Facebook started supporting 360° video. Put forth a lot has grown in this market, we're witnessing many new things day by day. But watching more of this content gives you headache, also you probably need to rest a bit after watching a VR content. So you might be wondering what's the reason behind that? Well when you snap a smartphone on a VR headset & consume any VR content, All of those individual pixels on your smartphone are zoomed into your face. Just imagine all of those RGB combination flickering continuously to give you the desired output, Well now even closer to your retina! I'm saying that from personal experience. Fun Fact : When you play games on your PC tirelessly for 3-4 hrs, don't you experience that wiggleworm effect within your eyes? It's the same case here. What to expect at CES 2016? Sony has teased alot about their PlayStation VR headset & there's no exception, that it's very cool. If you're a gamer, it's a must have stuff. Earlier Sony's Project Morpheus was in development stages, but now at CES 2016 we might see an actual final product. Also we can see existing product enhancements from similar manufacturers at a greater extent including Oculus, hTC, Samsung at their best. Augmented reality is really something game changing over Virtual reality. You don't need any controllers to interact with your surroundings when you're in that immersive experience, so far from what we've seen your hands are enough to interact with the objects in Augmented reality. Augmented reality is basically augmenting your surroundings by adding some visual touches, with which you can actually interact with the objects created without ever changing anything in our real world. Basically You're in real world, instead of a computer generated world which is the case of VR headset. Google was first to bring this to a wider audience with Google Glass, essentially defining the word "HUD"(Heads Up Display). Though later Microsoft completely dwarfed everything with Hololens. Since then, Microsoft's on fire & I like that a lot. Microsoft has really played this game smartly with complete study. Back at build 2015, they introduced a concept of Universal apps in which if any developer creates a Desktop App & it can run automatically on all of the Windows 10 enabled devices. So this is how many apps are designed automatically for their mobile platform, I see what you did that there Microsoft. Watching videos of Microsoft Hololens in action really pumps me up, this could be the next big thing shaping our future. Maybe some game demos & enhancements to AI engine we saw with that robot last year via hololens, Yes with Mico. Just think about the stuff we see in Iron Man movies & visualize that on Hololens, Future is Long! Since Google seems to be focused on Virtual reality with their project Jump, it's hard to predict whether we could see a newer Google Glass. 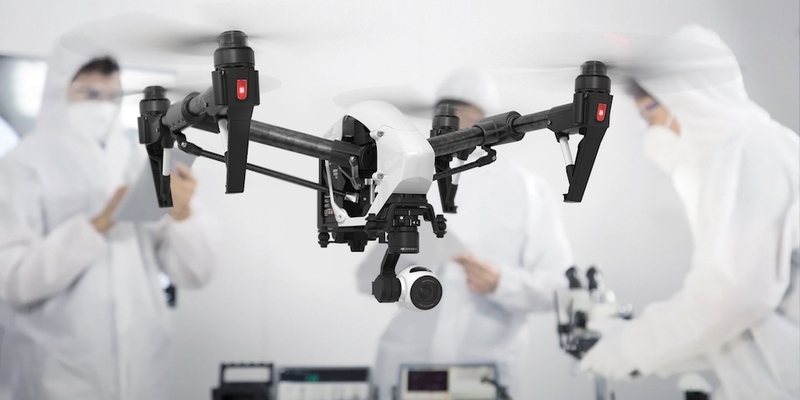 Last year even Drones caught certain amount of attention from many people around the globe. 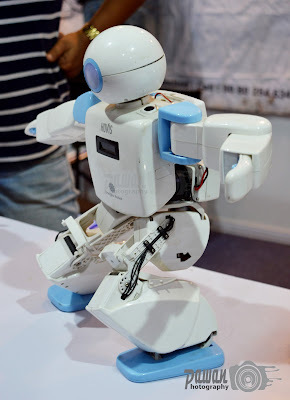 They were also the go-to-topic that was flourishing across CES 2015. Many companies such as Parrot, DJI etc. were seen showcasing their product last year. A Drone can be considered as Remote Controlled Car that gives you another 3rd dimension to explore the world around you in free space. Though 2015 was a year that caused many troubles for owning a drone which was due to security reasons, you initially had to go through registrations & flying was restricted to certain areas. But despite that, we've seen improvements this past year from camera equipped drones, lightweight drones, manually controlled drones to self flying drones(mapping point A to point B). So it's all about the mixed feelings from 2015. We've seen concepts of Amazon delivery drones past year, this year we might see a glimse of that in early stages. Facebook drones can also be seen in action, as it is a concept to provide basic internet access to remote places on earth. Apart from that we can expect lightweight & more powerful drones. Hoverboard was also a concept that appeared at CES 2015 which eventually isn't what you expect from back to future stuff. This quickly became the hottest trend in 2015, if you consider the last few months. But there were cases where people got their house burnt down due to failure in motors equipped inside the hoverboard, eventually causing a ban in some areas as it was considered as a major threat to your surroundings. Well we can see hoverboards which are more centric to safety, portability(battery), better battery management & accuracy instead of fast thrusters. There will be a ton of companies coming up so its hard to predict more stuff. Fun Fact : It shouldn't be called a hoverboard(depending on what we saw in back to future series), so I'll call this a twi-cycle. Last year we saw flagship devices emerging with 2K(Quad HD) displays considered as default, whereas Sony pushed boundaries and created the first ever smartphone having a 4K display. Considerably powerful processors were made to push all those pixels from that tiny body to get the full immersive experience. Then we saw 8K displays equipped on TV's both curved and normal present at last year's CES as development models. Not only the displays were enhanced, but the content production also received some upgrades. More Handicams & Cameras capable of producing 4K, even 8k content with RED's Weapon Dragon, spelling this gives me chills. What to expect next week at CES 2016? More 4K displays offered as default resolution and powerful processors capable of pushing all those pixels. 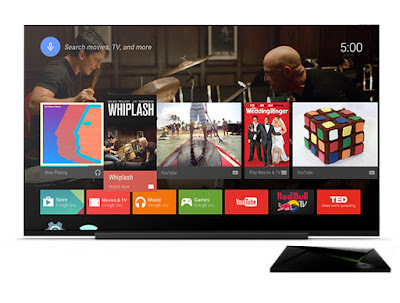 As we're familiar with Android TV OS last year, we'll witness a lot of new TV's gravitated towards Android ecosystem. While who knows curved & flexible displays might be the next big thing? 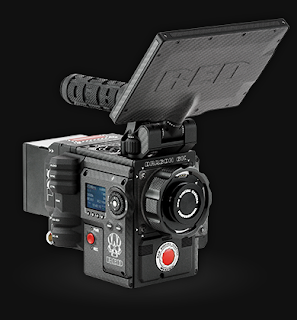 Red's Weapon dragon camera(8K) module might be showcased at CES this year. We might even see Google's project Ara in it's final sleeves. while Netflix & YouTube both are going to host their sessions at CES 2016, so expect a ton of stuff coming flourishing in favour of 4K/8K. Last year we saw tons of cars slowly picking up with tech trends equipped inside, this was due to some company's like Tesla, BMW.etc Cars have gotten a lot smarter lately with introduction of Custom OS in-built on the display of your dashboard capable of doing things faster such as enhancing security problems, entertainment systems & more. Infact both Google[Android Auto] & Apple[Carplay] have even build respective operating systems to work inside your car, making you feel at home. Back in 2015, BMW also demoed their preferred version of Air-touch OS. Electric cars picking up the pace fast, while Tesla has showed up some amazing innovations in a freaky way including 'Driverless mode' & about how you can charge your electric Car by simply placing it in your garage. Whereas we saw self driving cars made by Google named under the term as Self-driving project. Well Electric cars are going to be everywhere around the entire car expo at CES 2016. Initially Chevy Bolt which is going to stand in the first few affordable electric cars. Then there's Faraday Future & Volkswagen who have released a teaser about their upcoming electric car. 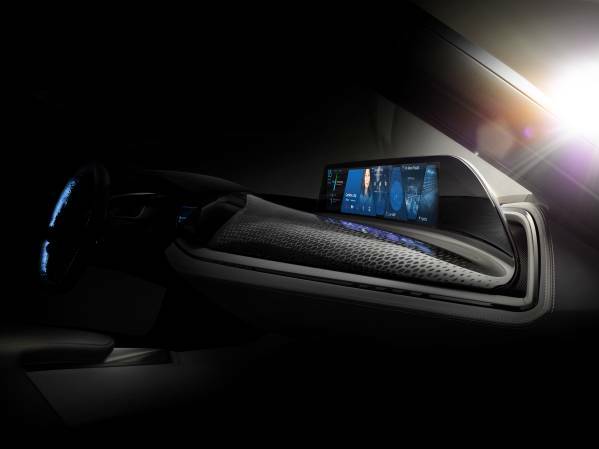 Whereas Bosch Global is going to unveil their futuristic interior design concept. We might see BMW's final version of the Airtouch mechanism equipped OS which was debuted last year, hopefully with a newer Car model. While ford has also teased that Ford GT will be available at 2017, so we might also get a glimse of that available at CES 2016. Although I'm placing my bets on Tesla, cause i know whatever they unveil is going to be the absolute best. Whereas Autonomous/Self-driving cars can also be debuted on a larger scale by many companies atleast via concepts or development phases. Last year was an outrage in wearable computing. Wearables are the gadgets that can be physically attached to your bodies, that make our tasks easier such as fitness trackers, smartwatch's etc. We've a couple of them by company's like Apple, Nike, Motorola, Pebble, LG, Asus, Samsung.etc. Google's Android wear ecosystem did gave a boost to this market, though it eventually slowed down a bit. A reason of which we saw emergence of Tizen & Web OS by Samsung & LG electronics. What to expect at next week? Some more models in Android wear ecosystem & hopefully any visual touches made to the design language. 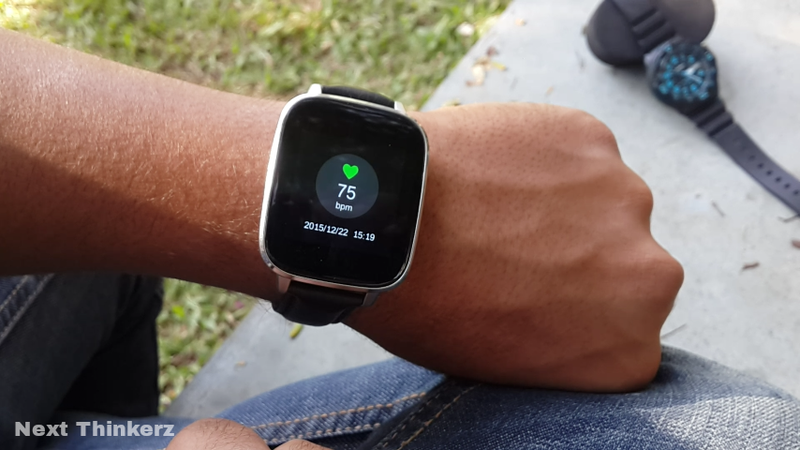 3plus already has confirmed that they'll be releasing few smartwatches. Last year we saw the concept of Smart-home by Samsung at CES-2015, this Idea was picked up by Apple joining the course with Homekit & Google with their Brillo & Weave OS. This eventually was an effort to make everything connected in a single hub. Didn't get that? Let me trim it down for you. So what's IoT (Internet of things)? Well let's say you use a smart bulb, smart door lock, a smart AC & some other smart devices which can be triggered to do a specific task via their own specific app. So this makes life easier, right? But IoT concept by Apple & Google states that, you don't need a separate app to control each and every electronic device. Everything can be controlled with one Single App/OS which includes the unique API's for doing respective tasks(because both Apple & Google are working closely with the manufacturers). So basically, IoT is sort of a hub that controls everything under a single hub. What can we expect about this next week? Well many company's are sending out teasers on their social media platforms regarding how they're going to incorporate IoT into their ecosystem of devices. Besides Google has never publicly demoed their Brillo/weave OS, so who knows it might happen the very next week. Apart from that we'll definitely see tons of smartphones, new emerging technologies, 3d printers, robots.. Etc. It's really hard to describe everything chopped down into a single post. So CES 2016 will officially ignite on 4th Jan, 2016 at Las Vegas. This is by far the best & largest technology show that happens every year on this planet. If you live nearby, trust me it's hard to pass this place without going in & it's worth your every penny if you've already registered for CES 2016. This show never disappoints, here's the schedule for everything you need to know about this madness that will occur at CES 2016. I'll be tweeting everything of about the new stuff that's hot, So make sure you follow me.